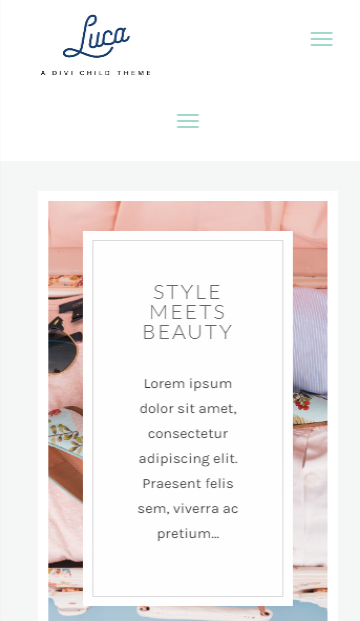 Luca is a Divi custom designed child theme for bloggers. It comes with full online instructions on how to install and use the theme. We have included all the custom images made so you can include these in your blog. 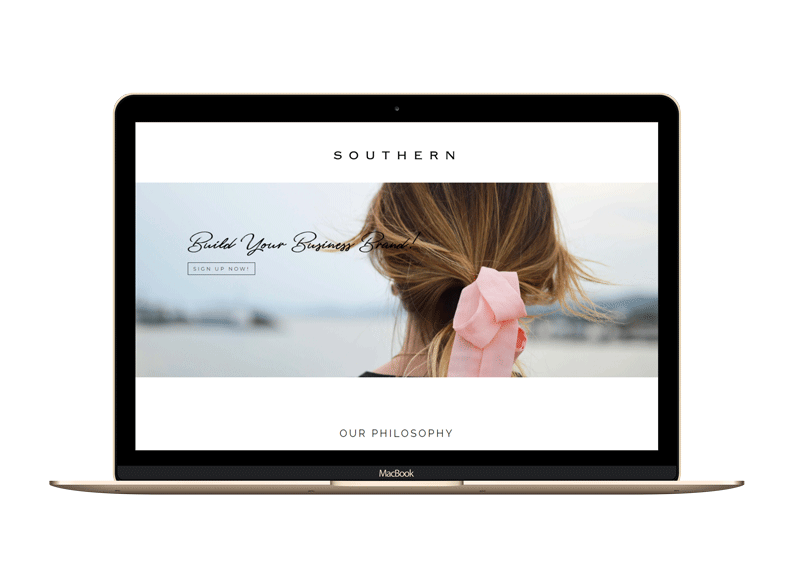 Luca is a Divi custom designed child theme for travel, beauty fashion and lifestyle bloggers. It comes with full online instructions on how to install and use the theme. Luca uses the native WordPress blog post layout. The all important news letter sign ups have been incorporated across each page, so that you can grow your business. 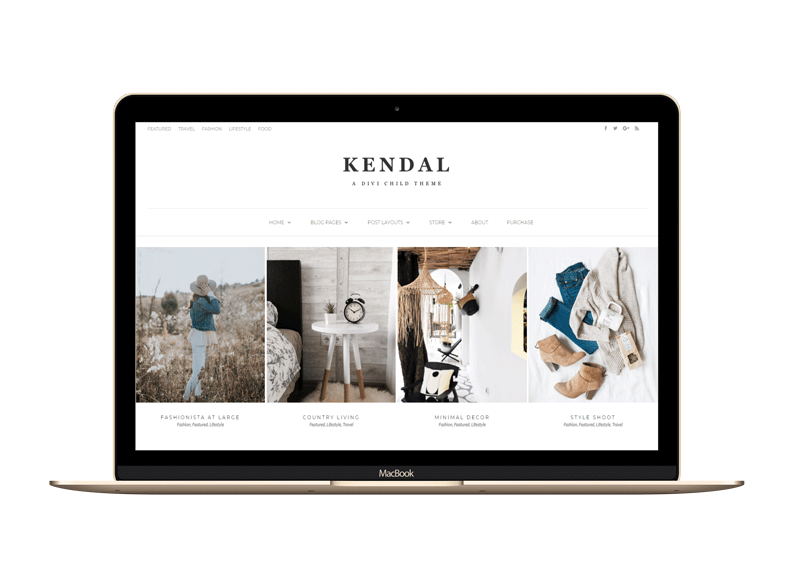 You can change all the images, colours and drag and drop the modules as you wish – a super easy theme built on a solid framework. The Luca Child theme is only suitable for WordPress.org websites and the Divi parent theme needs to be installed, so that the child theme will work. 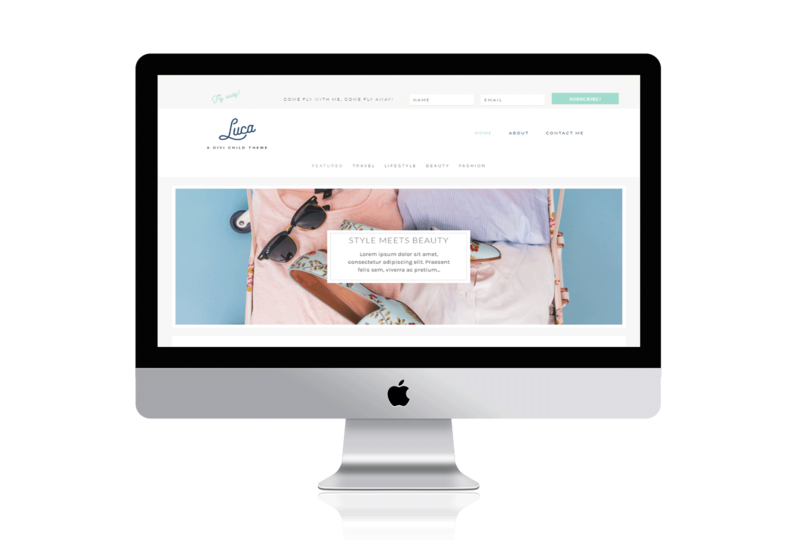 Luca – A Divi Child Theme, Perfect for travel, lifestyle and beauty bloggers. The theme uses the Freeday Font for the custom branding on the demo. Styled with pretty soft blues. We love the theme as much a we love travel and all things pretty!